Last week Chris taught out of the minor prophet book of Haggai. When God brought the people back from exile, the people were instructed to rebuild the Temple. Sadly, the people became distracted with their own lives and homes and stopped building the Temple. Thankfully, God put the Jewish people back on track. This week Chris concludes his teaching in Haggai. In Haggai chapter 2, we’ll learn how the process of rebuilding was very different compared to the former Temple Solomon built. The differences of the Temples was very noticeable. The people started grumbling about comparison of the two Temples. Their expectations were very high yet they did not have the money or resources to build a grand Temple again. But God once again set them straight. He assures them that the Temple they build will be exactly what is needed. Isn’t God kind to do that in our lives too? We often live with expectations that are not realistic. Our expectations will not be met through people or things. It is only when we place our hopes and desires on God, can we truly be content. Don’t miss this valuable truth! Do you find it hard to relate to the people and times of the minor prophets? Books, like Habakkuk, Zephaniah, and Haggai? These were prophecies written thousands of years ago, but the truth is the spiritual issues surrounding their circumstances are similar to what you may be facing today. 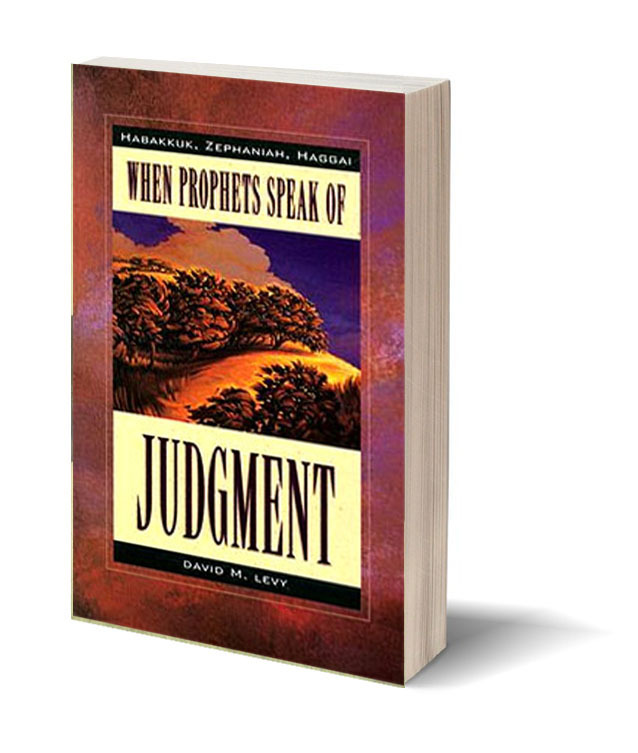 In the book When Prophets Speak of Judgment, we see how the messages of Habakkuk, Zephaniah, and Haggai are warnings that challenge us to see life from God’s point of view. This book is an encouragement to “redeem the time” as we move ever closer to the last days! In Israel the people tire of war. Some Russian immigrants asked Zvi how he has been able to live all these years in Israel with war happening often. Zvi explained the peace that passes all understanding that only God can bring. The people were surprised that Zvi felt this way. God opened up an opportunity for Zvi to tell them about the Prince of Peace.